Excerpt: Bruce R. James Public Printer of the United States U.S. Government Printing Office (GPO) WHAT: Guiding the future of Government information dissemination - That’s just one of the topics the 24th Public Printer of the United States will be addressing during the opening keynote speech at the Government Printing Forum. 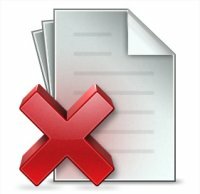 The GPO 's newly established Office of Innovation and New Technology (INT) is working on three key issues: Digital Preservation, Authentication, and Versioning. The INT group is also seeking out content creation and management schemes that will allow Federal agencies to manage their electronic content and thereby process it through the GPO more efficiently. 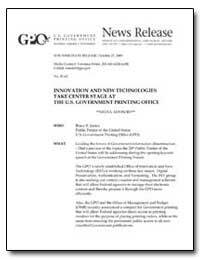 Also, the GPO and the Office of Management and Budget (OMB) recently announced a compact for Government printing that will allow Federal agencies direct access to printing vendors for the purpose of placing printing orders, while at the same time ensuring the permanent public access to all non-classified Government publications.